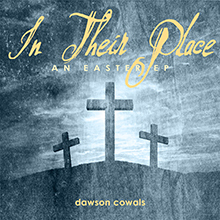 Well, for all of you who have been waiting awhile for Dawson to release some new material, your wait is over. He has put together a “shopping cart” (pun intended when you see the artwork) of songs in a brand new CD, “More In Store”. This CD features 6 previously unreleased studio tracks, 6 older songs that were released on earlier CDs that are currently out of print, and 3 live tracks from an hour-long outdoor concert at Waterworks Park Amphitheatre in Vancouver, Washington back on 06-29-2002. From the opening song of “No Need to Worry” with its DMBesque sax and guitar work to the live Americana of “Before the Sun Sets”, the songs on this CD offer encouragement and hope for those who may be struggling in life. 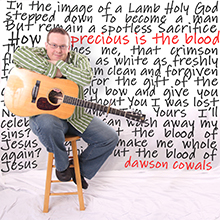 Many of the songs showcase Dawson’s storytelling style like “Parable”, which is a story of redemption following the biblical parable of the prodigal son to “Your Face”, a wedding song he wrote for a friend about how dazed he felt the first time he saw his wife’s face. This is Dawson’s 10th full-length release since 1999’s “Swirling Waters Tug”, and it delivers something for everyone. The shopping cart metaphor truly applies to not only the variety of songs, but the genres, instrumentation, and emotions each evoke as well. If you enjoy finely crafted lyrics delivered with an honest passion and backed up by stunning acoustic guitar work then you owe it to yourself to check out this CD. Fans of Dave Matthews, John Mayer, and Bebo Norman will not be disappointed.